Hi everyone! 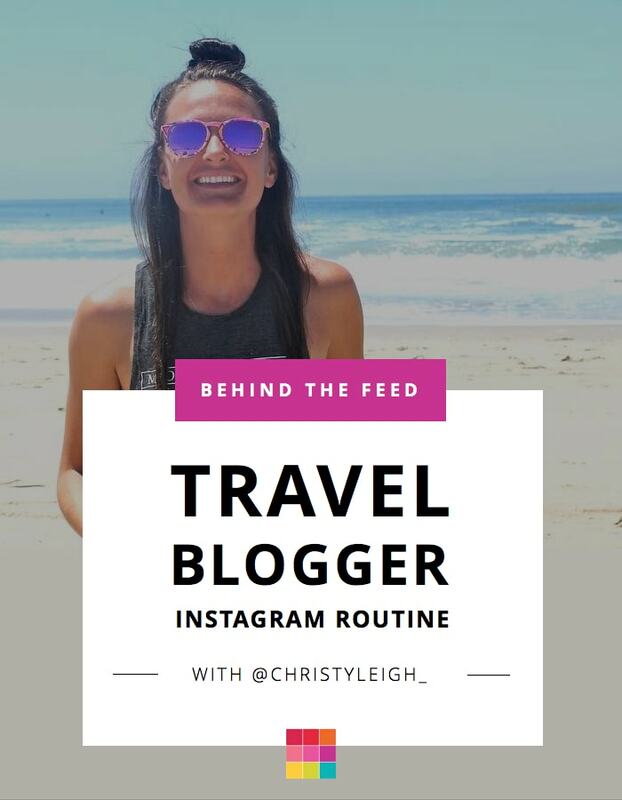 We’re back with another “Behind the Feed”, this time with Christy Leigh from @christyleigh_. I’m sure you have come across her feed if you love bright, colorful, tropical photos. She uses Preview app to plan her feed ahead of time. Christy is known for her top-notch engagement on Instagram. How does she do it? Keep scrolling to see her Analytics. 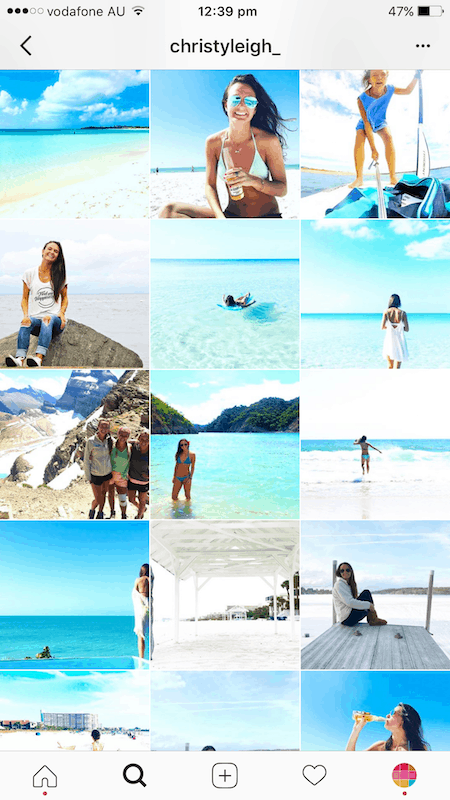 Here is her Instagram routine as a travel blogger. Hi Christy! Before we start can you introduce yourself to everyone and tell us what you do? Hi Guys! Thank you for having me 🙂 So I am a travel influencer/blogger and I actually just recently started consulting. I hold phone consultations to improve influencer/brands IG feeds and I am currently working on an e-course coming out in July! Let’s dive right in! If you could use only one word to describe your Instagram feed, what would it be? I would say ‘happy’. I enjoy bright photos and color, always. How long have you been on Instagram? I have been on Instagram about 4 years. I would say I really started getting into it about a year ago. How much time do you spend on Instagram everyday? It really ranges. It is hard to spend the amount of time I want to on Instagram because I try to balance a few jobs. I would say about 2 hours a day. I try to post at least every other day. How far ahead do you plan your feed? I plan my feed ahead about a week in advance. It is always helpful planning my captions in advance because that is where I usually struggle. Your engagement rate is fantastic. Can you share your top 3 tips to increase engagement on Instagram? Yes! This is actually something a lot of people reach out to me about. Interact: It is SO important to interact with the people who are following you. While I am always looking and engaging with new followers, focus on the community that you have built so far and enjoy it. Use hashtags:The second thing I do is search for new users via hashtags. I search relevant hashtags and interact with those accounts who also use those hashtags. Select your photos carefully: I have learned what pictures my followers like and dislike. Which photos they engage with most. I find this out using certain apps that break down my analytics. 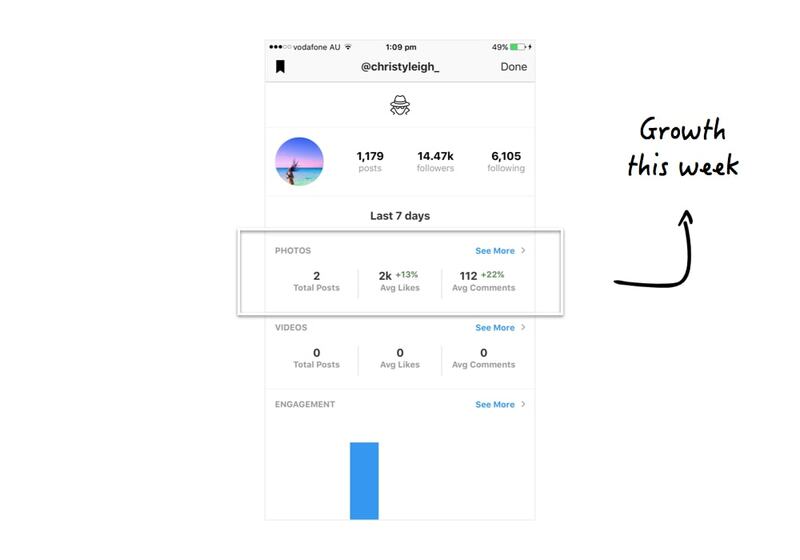 Use Instagram Analytics inside Preview App to find your best time to interact and see what photos get the most engagement, likes & comments. Your top tips for travel bloggers? Blog, Blog Blog: The more you write the better you will get at it. You’re only going to become a better writer from writing. This will allow yourself to become more comfortable in the writing industry. Take a lot of photos when you are traveling: A lot of influencers get frustrated when they run out of content, especially me. It is important to load up on your pictures when you are traveling so you will have items to post when you return home. How many photos do you take when you visit a new place? And how do you choose which photo to share on your feed? It’s so hard to pick just a few images to share, but after analyzing which images get better engagement I have to lean towards those pictures. i.e. the pictures with great backgrounds do really well for me. How is Preview app helping you? And what would you say to someone who isn’t using it yet? There are so many editing options and pre-planning options that are so helpful. I would tell people to use Preview app just to get their Instagram together. Especially if you are new to the gram, this will help you stay organized and create a theme using the editing filters. My favorite feature is the planning grid. I love being able to create my future posts and move them around so that they look visually appealing. 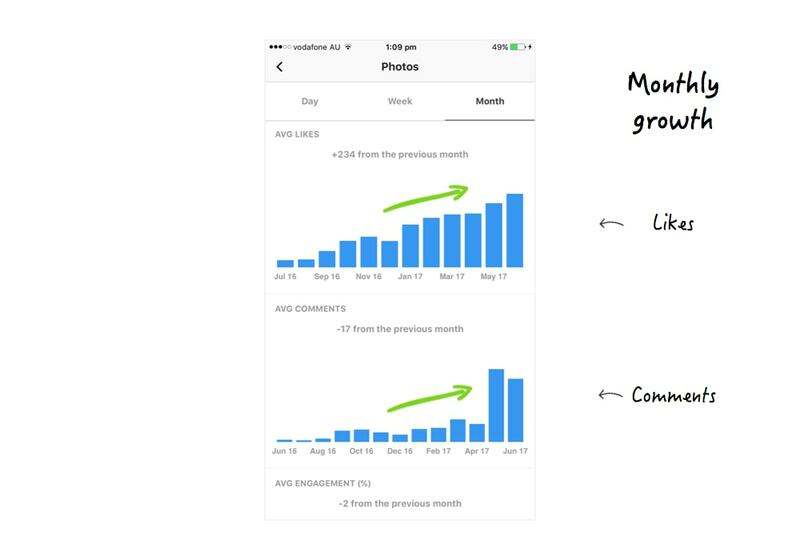 I also love the Analytics part of Preview app. It tells you the best times of the day to post. And what’s even better it tells you how you receive your engagement. It shows you your top hashtags that have received the most engagement. 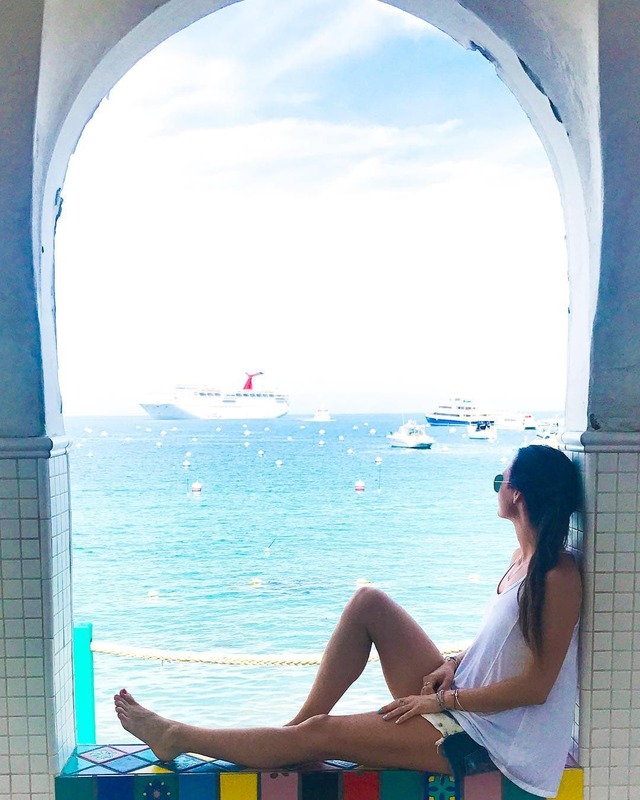 Thank you for sharing your Behind the Feed with us Christy! Who doesn’t love a beautiful tropical Instagram feed? Tell us below, what’s your favorite tip from Christy? If you have any other questions, feel free to write them down below. You can find Christy on Instagram at @christyleigh_. She also now booking consultations & one-on-one calls. Click here to book your consultation now. Until next time, see you all on Instagram (@preview.app) for more tips & tricks!